Whether you are looking to impress guests, stun at the next family gathering, or just unleash a bit of creativity into your home, PaintPlaceNY has the decorative paints to meet your needs. Add some glitter or shine to your project with a variety of metallic and glitter paints both in matte finishes as well as patina and oxidized metal looks. Bring some texture to your ideas with decorative, sand, stucco, marble-look plasters and textured finishes. 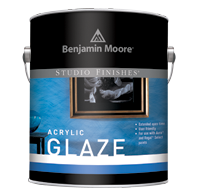 Create depth on your surfaces with glazes and pearlescent finishes. Design with function in mind using magnetic, dry erase and chalkboard paints. The only limit to your project is your own imagination. Looking for some inspiration? Stop in to your local PaintPlaceNY where our experts are ready to help make your dream project a reality. Cassiopeia is clear polycarbonate flakes sprayed over a heavy-bodied acrylic base. The Cassiopeia system is composed of Cassio-Base, which serves as the bonding agent, and a mixture of clear polycarbonate flakes and colored glitters that are sprayed over it. Cassiopeia finish is available in any color and offers an innovative effect that creates an illusion of space, light and colors. Crystal Brush is a glitter paint that makes interior surfaces glisten and sparkle, giving your walls a contemporary look unmatched by any other paint. It’s easy to use and will add a unique decorative flair to your space with just the swish of a brush. Golmex plaster is a high-quality Portland cement composed of lime, graded silica sand and admixtures to create the appearance of polished concrete on interior and exterior wall surfaces. The pre-mixed dry powder substrate is formulated for superb adhesion, workability and durability. Meoded Hydrowax is a water-based wax, which enhances gloss finishes and acts as a sealer for both lime and acrylic based products. It is made from a blend many different waxes, taking the best characteristics of each and blending them to make a superior-quality liquid wax. Hydrowax can be applied to almost any surface where a gloss finish is required and is particularly suitable as a finish coat for all Meoded Venetian plasters. Marmorino Palladino, an interior and exterior decorative wall plaster, comes in natural lime and marble dust paste. It provides a wade range of textures, including a distressed, marble-like finish and various natural stone looks, producing a warm and dramatic appearance. Marmorino Tintoretto is a genuine lime and marble-based Venetian plaster featuring easy application and exceptional durability for interior and exterior applications. Tintoretto is a contemporary version of traditional Italian stucco, which is known for its warm and dramatic appearance. Pearlas Velvet is a low-VOC decorative metallic finish for interior use that produces a suede metallic finish. Pearlas Velvet is designed to be an elegant, very rich-looking finish. With metallic pigments and fine resins, Pearlas Velvet gives the appearance of a pearlescent paint with the feel of soft, rich texture. Made in Italy, this special trowel is used to create Travertine, vertical, horizontal and special effects. Use it to create contemporary and modern finishes desired by architects and designers. Meoded Sapphire Metallic is a unique Low VOC pearlescent paint that gives walls, metal, trim, furniture or any other paintable surface a rich, opulent look of shimmering satin. Whether in homes, offices, or commercial spaces, Sapphire Metallic will give surrounding areas an air of sophistication fitting even for royalty. Meoded Stucco Lamundo, a genuine lime-based Venetian plaster, features easy application and exceptional durability. The tintable paste produces a highly polished, marble-like finish on almost any interior surface, allowing you to create a wide variety of interior finishes with state-of-the-art effects in any color and texture. Tonachino Firenze is a contemporary version of early Italian plaster, known for its warmth and dramatic appearance. Its natural makeup gives it an authentic, Old World, sand finish sought by architects and designers around the world. Modern Masters was the first USA manufacturer of acrylic Venetian Plaster. This product has been used by professional applicators and do-it-yourselfers on thousands of projects across North America. The unique chemistry allows for an unlimited palette of colors utilizing any paint manufacturers’ color system. Simply choose a color from your favorite paint dealer’s fan deck and have it tinted right in the store. Modern Masters has been manufacturing water-based metallic paints since the 1970s, setting the standard for the competition. When it comes to choosing a metallic paint for a do-it-yourself project or a large architectural project, Modern Masters has a metallic paint suitable for the job. Matte Metallic is formulated with the same shimmering particles and ease of application as Modern Masters original metallic, but with a matte finish. It is great for holding patterns created by still brushes or paint pads. Modern Masters has combined the ancient art of patinazation with modern paint technologies. These products create the distinctive and timeless look of bronze and copper patina or the weathered appearance of rusted iron in a matter of minutes on any paintable surface. Modern Masters Patina Aging Solutions are acidic solutions in water. When applied over oxidizing paints, they react with the real metal particles in the paint, speeding up the oxidation process to create beautiful patina finishes. The Basic Gilding Kit includes the tools and materials to apply metal leaf to a properly prepared surface. Contains 4 oz. gilding size, natural hair brush, wet/dry paper, cotton, mixing sticks and a book of leaf. Available with Imitation Gold Leaf, Aluminum Leaf or Copper Leaf. The Mica Powder Kit contains 24 mica powder colors in resealable, clear plastic bags, leaf adhesive, acrylic clear coat, two brushes, cheesecloth and mixing sticks, along with easy-to-follow, step-by-step instructions. Mixol is one of Europe’s leading brands of multipurpose tinting concentrates. Over the last 45 years, their products have been relied on by individual craftsmen and the color tone industry. Binder-free multi-purpose tinting paste enables the user to mix 33 Mixol and three metallic effect concentrates on-site. All the tinting pastes and concentrates can be intermixed to create any tone or effect. The PINTASOL assortment with 17 color tones completes the product assortment. MasterClear interior/exterior topcoat is a water-based, one part, self-crosslinking, aliphatic polyurethane/acrylic, nonyellowing topcoat. It is formulated with UV absorbers, UV inhibitors, mar and slip aids to create the best possible protection for Modern Masters’ metallic paint collection. The pigments used in Cal-Tint 830 universal colorants were selected to provide a wide range of hues, good durability, lightfastness and alkali resistance. They are designed to have broad compatibility in trade sales, water-based and solvent-based paints. Rust-Oleum Specialty Magnetic Primer is a base coat that allows you to create a surface that attracts magnets almost anywhere. It can be applied to wood, metal, masonry, drywall and plaster. Create a fun and unexpected way to hang notes, photos and more. 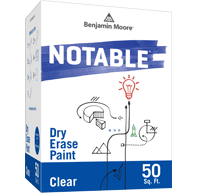 Rust-Oleum Dry Erase Paint is a smooth, hard finish that creates a unique, white, writeable-erasable surface. Once dry, simply use any dry erase markers to draw or write messages and then erase! Its easy application and minimal odor make it safe to use indoors on drywall, Masonite, wood, cement and metal.